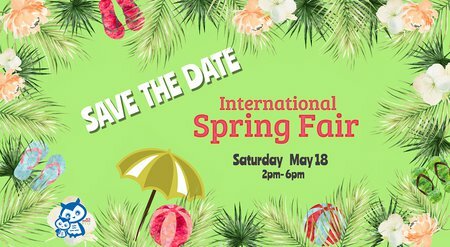 The last fundraising event of the school year, the International Spring Fair is fast approaching. It is a traditional and much anticipated all-day family event organized by the ACS Athens PTO and celebrates the school’s diverse community. There will be fun games and activities for the kids, food stalls from different countries generously prepared and donated by the school community, a school clubs’ marketplace, lots of music, a raffle and many more attractions.